John, I also visited Amsterdam a few years ago but failed to find windmills as spectacular as this one. 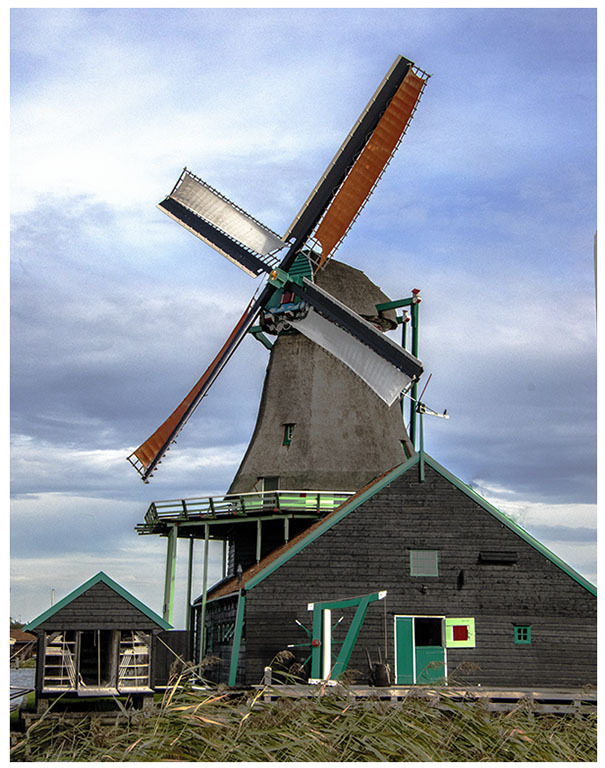 I really like the dramatic colors in your image and the crisp lines of the buildings and windmill add to the appeal. Your work to bring out the sky is nicely done. I have found that Dehaze is a valuable filter, especially for the sky. I use it frequently and have discovered that the combination of Dehaze, Clarity, Highlights and Exposure usually form the basis of my initial post-processing efforts. Thank you for sharing this delightful memory of Amsterdam. The place I use it is in the Camera Raw Filter. It's available as both an overall filter as well as a component of the adjustment filter. I believe it's also available in the Lightroom Develop module.